More medical and surgical patients with pituitary adenomas (tumors) and disorders visit the University of Virginia Medical Center than any other facility in the world. Our pituitary program sees 500 new patients and performs 200+ surgeries each year. Our neuroendocrine team has been pioneering new medical and surgical treatments for more than 20 years. Patients can be seen in clinic one day and scheduled for surgery the following day. A visit to our clinic includes consultations with endocrinology, neurosurgery and Gamma Knife physicians who will discuss the full range of treatment options in a single visit. Endocrinologists Marshall, Thorner and Vance led the development of all existing medical treatments for pituitary tumors and the refinement of replacement therapy for pituitary deficiency. Their Division of Endocrinology at the University of Virginia is rated in the top 10 in the country by US News & World Report. Our world leading Gamma Knife Center has treated over 600 pituitary patients with the Gamma Knife. 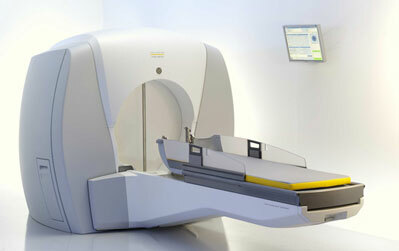 You can learn more at the UVA Gamma Knife Center’s home page. Because of the sheer volume of pituitary cases they see each year, our specialists have the experience and expertise necessary to make accurate diagnoses. And since such a diverse range of physicians weigh in on each case, you can be certain that they will map out the most effective treatment option for each patient. The goals of the team are to provide relief from the effects of the tumor mass, normalize hormonal hypersecretion, restore normal pituitary function and prevent recurrence of tumor growth. Together, this group works to diagnose and develop treatment plans for pituitary patients. Diagnostic methods include CT scans, MRI, hormone analysis, provocative testing, inferior petrosal sinus sampling (IPSS) and neuropathology. Neuropathologists analyze tumors for more than seven hormones and other markers, and use electron microscopy to further subtype adenomas. This thorough analysis ensures that our neurosurgeons and endocrinologists can accurately prescribe detailed, comprehensive treatment plans and appropriate follow-up therapies. Surgical techniques employed by our department include transsphenoidal microsurgery, endoscopic surgery, extended transsphenoidal skull-base approaches and craniotomy, when indicated. Transsphenoidal surgery is generally considered a first-line treatment for most symptomatic pituitary tumors, because it can provide prompt relief from excess hormone secretion and it allows for decompression of adjacent neural structures. Physicians at UVa have conducted thousands of transsphenoidal pituitary operations and continue to lead the field in expertise in this area. Dr. Jane Jr. is one of the foremost users of the endoscope for the removal of pituitary adenomas, craniopharyngiomas, skull-base meningiomas, and chordomas. Use of the endoscope should allow patients to breathe through their noses postoperatively and significantly reduce the amount of postoperative pain. Radiotherapy and gamma knife radiosurgery, as well as medical therapy, are also options considered by our team for each pituitary case. Once a first-line treatment, radiotherapy is currently used more often to treat postoperativeresidual tumor and to prevent recurrence. And, though medical therapy is effective for certain hypersecretory pituitary tumors, it is suppressive in nature, which means that most tumors recur once medical treatment is discontinued. However, UVa’s team always considers all treatment options – surgery, medicine and radiotherapy – and maps out the safest and most effective plan for each patient. With the substantial volume of pituitary cases treated at UVa comes an excellent history of results for transsphenoidal operations. Remission of symptoms of microadenomas is generally in the 87-91 percent range, and is in the 56-90 percent range for macroadenomas. For both micro- and macroadenoma patients, anywhere from 75-90 percent – depending on the type of tumor – are living and doing well without evidence of further pituitary disease after 10 years. Mortality rates are less than 0.5 percent, major complications are less than 1.5 percent, and minor problems occur in less than 6.5 percent of cases. several beds specially equipped for patients undergoing pituitary procedures – the Inpatient Neuro-endocrine Unit. a modern fully equipped outpatient Pituitary Clinic with capacity for on-site sophisticated endocrine testing with prompt results, same-day neuro-imaging support (MRI), and a multidisciplinary focus with simultaneous Endocrinology/Neurosurgery consultation, prompt evaluation from Neuro-ophthalmology (visual testing) and Gamma Knife Radiosurgery. state of the art “smart” operating rooms fully equipped with microscopes, endoscopes, laser, and computer-guided neuro-navigation. a clinic research center and research labs offering clinical trials that can directly benefit patients. Radiology – MRI, CT, angiography, IPS sampling. Neuropathogy – histology, immunocytochemistry, electron microscopy, tissue bank. As an academic medical center, UVa is a center for ongoing basic and clinical research, as well as clinical trials of novel and innovative therapies.